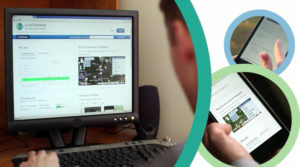 In March 2019, E-Enterprise launched the newest version of the E-Enterprise Portal, Portal 2.0, featuring improved usability that includes a new interface and a redesigned login process that allows users to enter information in a more centralized fashion. The Portal modernizes how the public, the regulated community, and environmental co-regulators conduct environmental transactions and access web resources. The Federal Regulations Finder enables regulatory users and the public to find applicable federal laws and regulations and EPA programs based on a substance or keyword. My Reporting enables regulated entities to use a single sign on to gain direct access to reporting systems or applications, starting with CDX as the Minimum Viable Product (MVP). An improved Partner Area explains how users of the Portal can more easily participate in E-Enterprise shared services, such as how to provide geographically specific and partner-branded information in Be Well Informed, develop a widget for the Portal, or participate in our other Portal services. EPA worked closely with states and tribes to scope these new changes to the Portal and will continue to seek their input as the Portal continues to develop. To increase this partner engagement, the E-Enterprise Portal Governance Team is looking for additional members who can bring diverse perspectives to planning and development conversations and who possess programmatic, usability, and other expertise to complement the technical aspects of the development. To join the E-Enterprise Portal Governance Team, participate in user testing, or obtain more information, please email eportal@epa.gov.